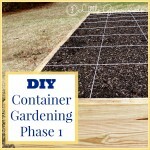 It’s been four months since we first constructed then planted our first DIY Container Garden. All I can say is: Welcome to the Jungle! Seriously. I am not sure if it’s our not-usually green thumbs or all the Kricket Krap we spread before planting but our tomato plants have totally taken over our little 4’x8′ garden. Now the trellis is struggling to be seen through the totally overgrown tomato plants. 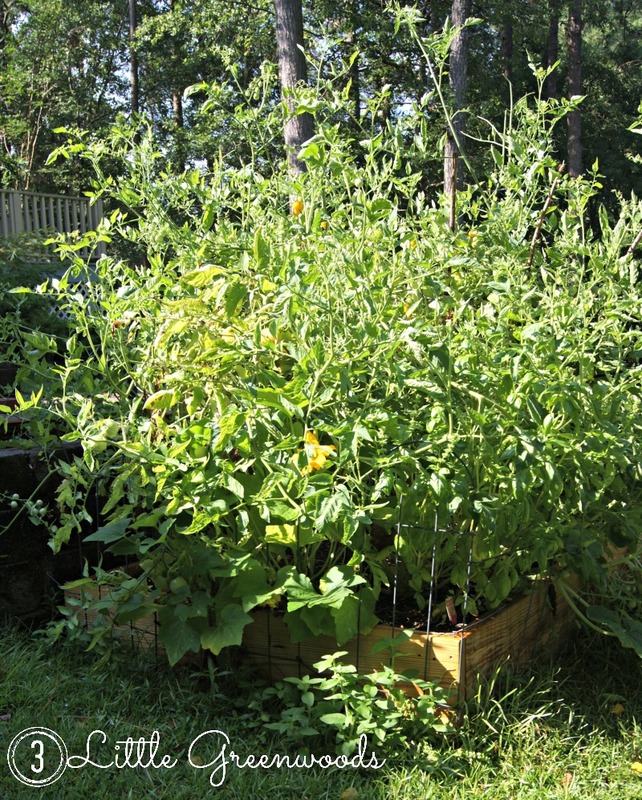 The smaller plants at the base of the tall, leggy tomatoes are struggling to find their place in the sunshine. The squash is determined to grow but the dill is long dead. 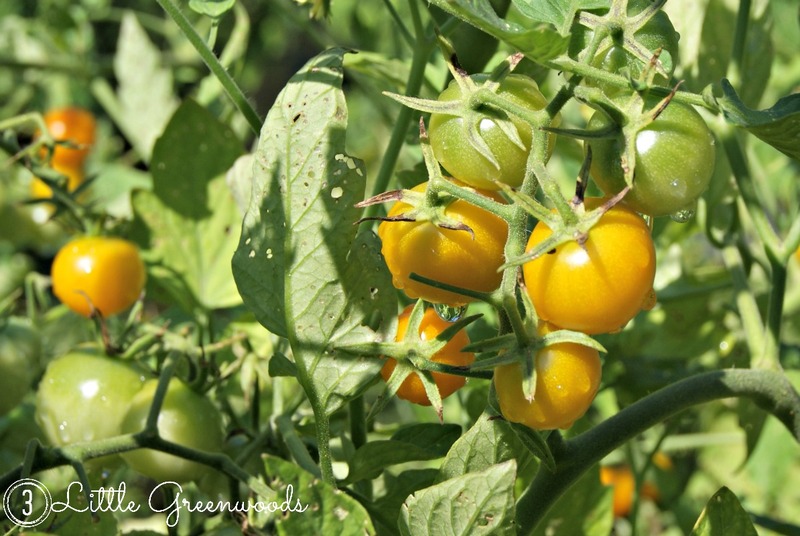 Luckily we are harvesting a ton of Sun Gold Cherry Tomatoes. Hopefully these little green pretties will turn red and sweet very soon. 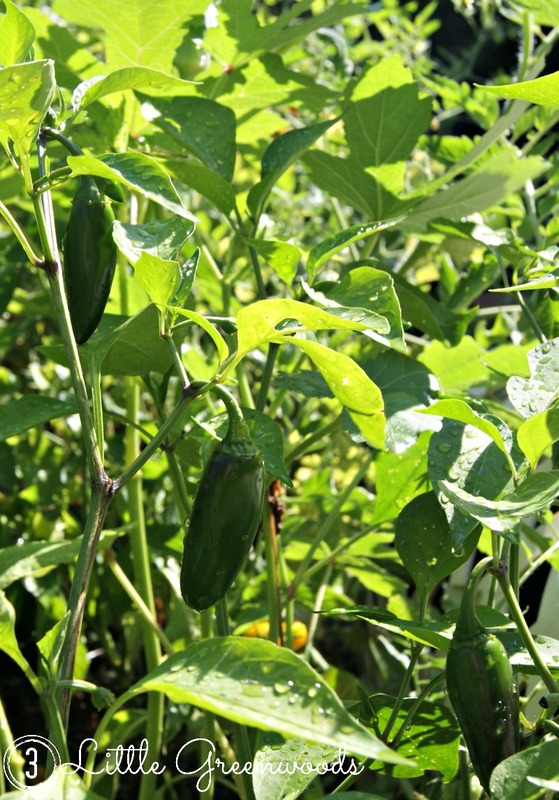 On the other side of the garden are green peppers and jalapeños. 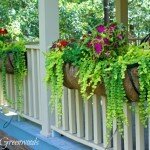 We are loving these truly low maintenance plants. All they need is a little water and lots of hot sunshine! There’s also a few very sad cucumber plants. At least I think this is a cucumber? I’m not sure what we are doing wrong with these sad, yellow, and weirdly shaped things. As always the children love helping to pick our “crops”. Thanks so much for stopping by to see how our garden is growing! 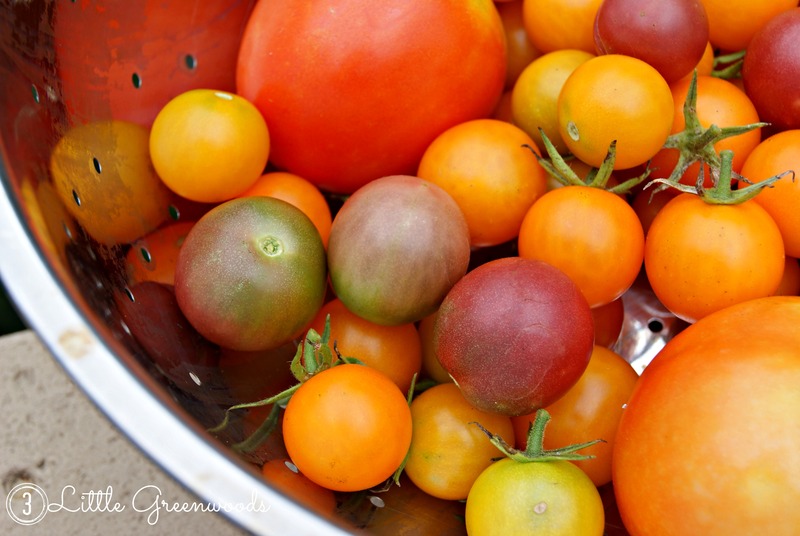 Wishing you a ton of delish, fresh veggies from your garden or local market! Yum! 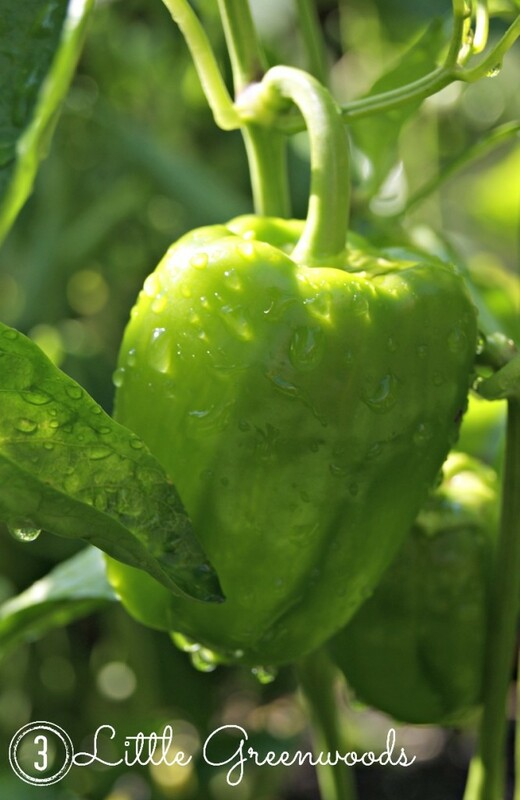 Our peppers and tomatoes have a week or two to go before we can harvest them. I can’t wait! As for the cukes, we’ve found that they don’t do well in hot weather. I’m guessing (from somewhat limited experience) that the yellow cucumber didn’t grow properly and stayed on the vine too long. 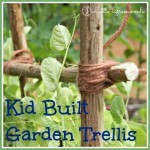 Do you have a trellis for your cucumber plants? That might help too. Thanks so much for the tips! Next year we are definitely building trellises for the cucumbers and squash AND staking those monster tomato plants! Are these guys on steroids! Awesome. 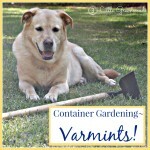 I must send you a photo of my container garden! ha! I know! 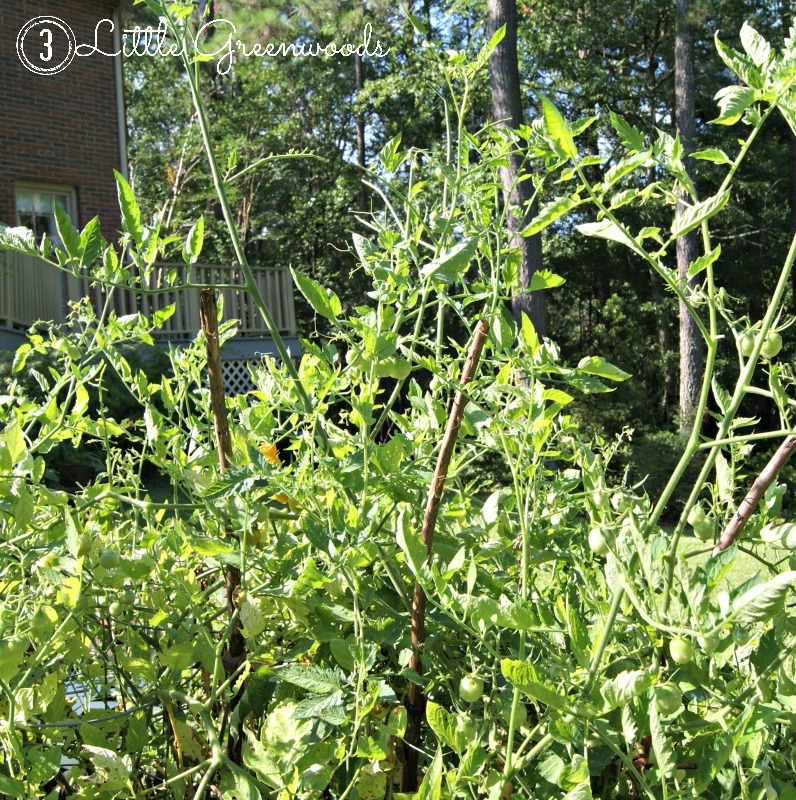 I’m excited for all the tomatoes but gesh… they have totally taken over! Send me a picture of your garden! Welcome to the Jungle!!!! 😀 That song cracks me up! 😀 Mmmm fresh peppers! Those have always been my fave to grow! 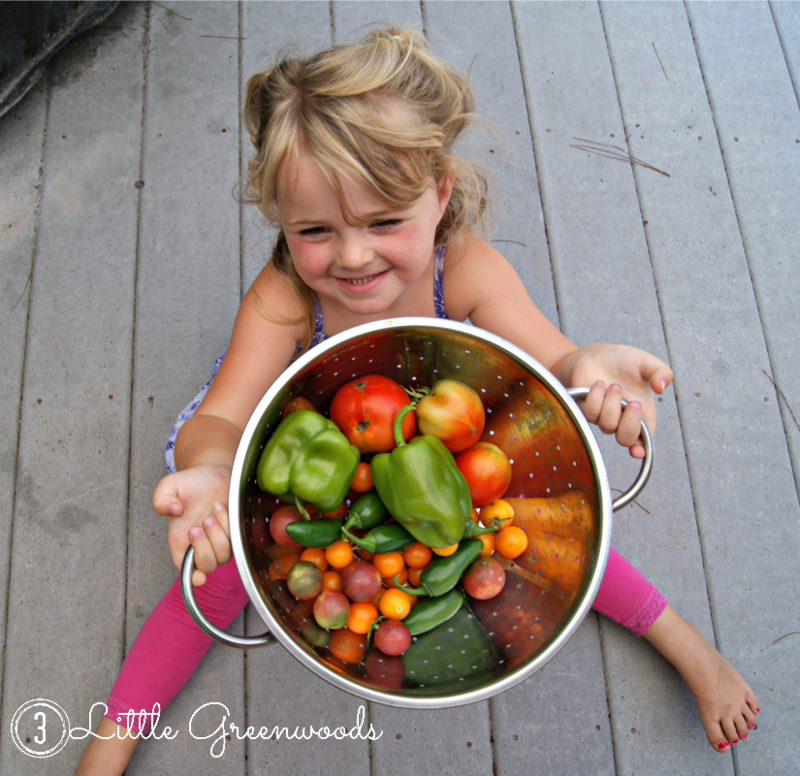 I am loving the peppers because they are so easy and they love our hot and humid summers! Wow Ashley, what amazing bounty!!! 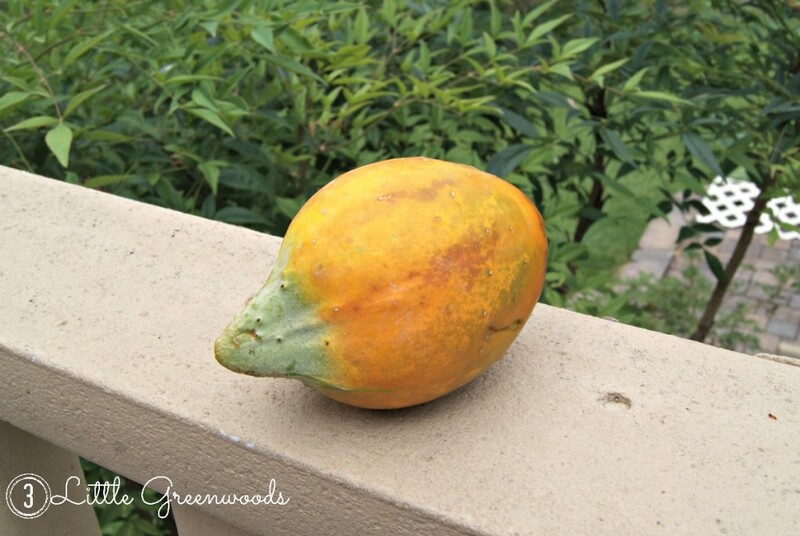 Our garden is sad by comparison…the deer like to munch on stuff as they pass thru in the night. ..and someone keeps forgetting to water, lol. We are so lucky not to have any deer. 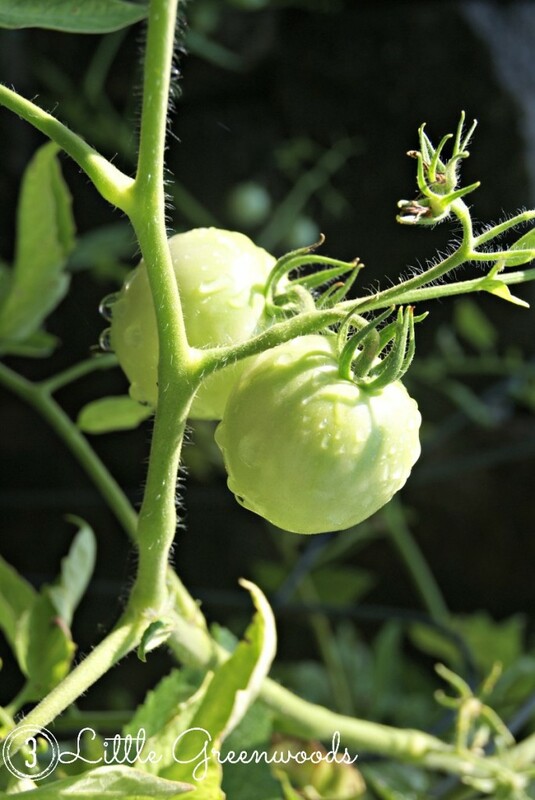 Only tomato eating stink bugs! It also helps that our programmable sprinkler system waters the garden so me or all my plants would be deader than dead by now. Our cucumbers just started doing this. I scoured the internet for a few hours and it may be a nutritional deficiency. I realized when reading that that I hadn’t yet used my tomato and vegetable food this year. The other theory I read is that it’s due to a cross pollination with tomatoes or squash. I was getting perfectly fine pickles earlier in the summer so I opted to try feeding the plants first. I’m also experiencing bottom end rot and anthracnose in my tomatoes so a nutritional deficiency could very well be the problem in my soil and yours. Just my thoughts! 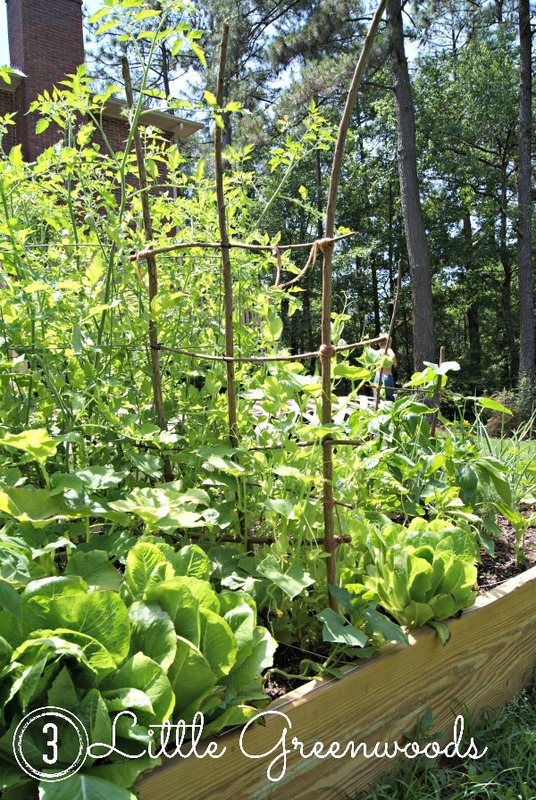 Your garden looks amazing and is obviously thriving! I hope you get resolution to your cucumber problem! It’s looking really good! My square-foot garden is seriously a sad space. I do have basil growing on my porch though! I have a huge basil bush but haven’t done anything with it yet. I need make some pesto! Thanks for the bloggy love!